Material: Sheesham Wood and glass lid. 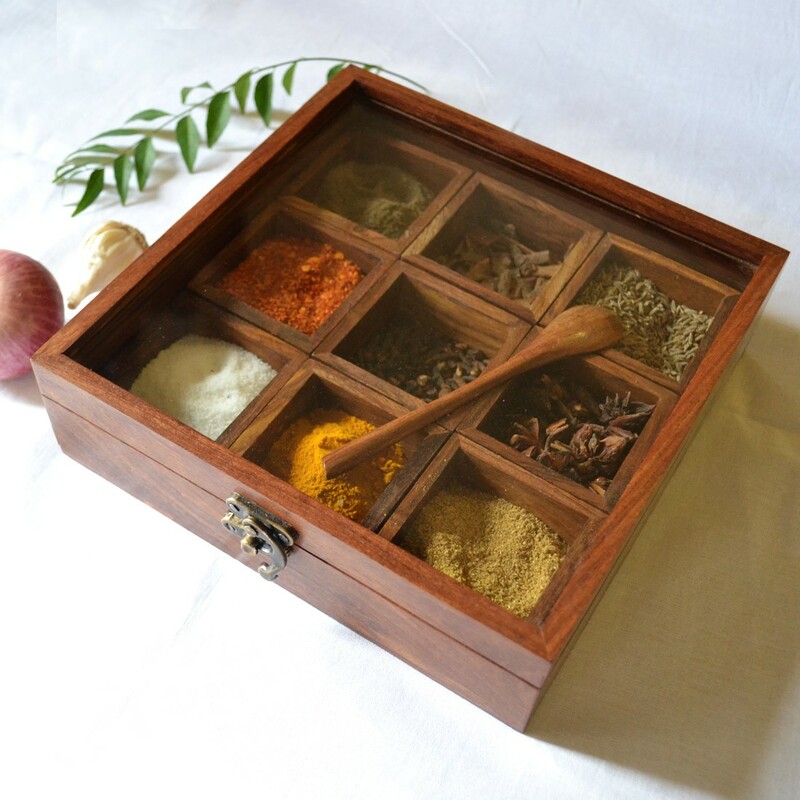 Wooden Masala Box is used to store spices and it is perfect for your kitchen accessories. It is a multi-purpose box which can be used to store dry fruits, Keep jewellery and other small items. Care: Do not expose directly to water. Just wipe out with soft cloth piece.